That man in the top of this photo? That's Captain Brian Bews and he's lucky to be alive. 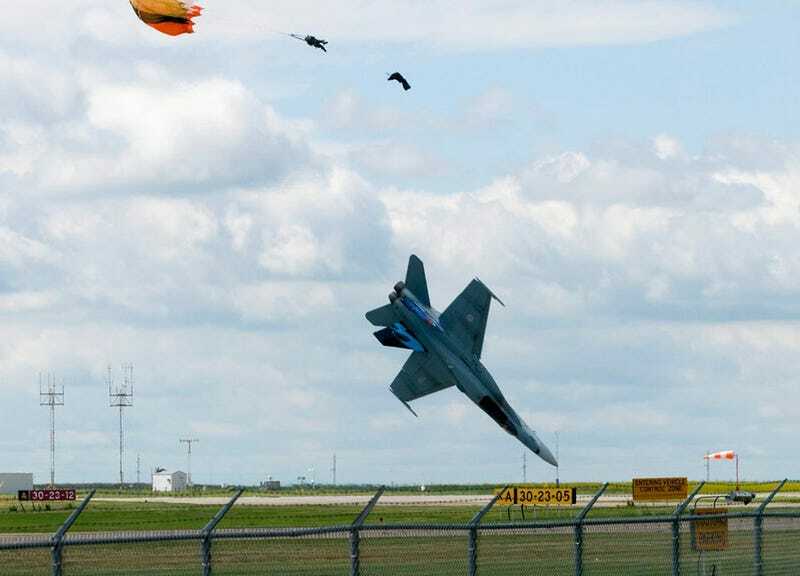 The skilled pilot barely managed to eject before his CF-18 fighter jet crashed during a practice flight. Update: Video added.